Send a Friend Request | Last Seen Playing "Defiance"
Rabbids Big Bang for Windows 8.... more info..
TY the Tasmanian Tiger is now available on Windows 8.... more info.. 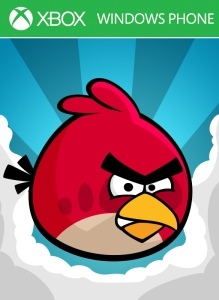 Angry Birds Classic for Windows Phone.... more info..
Goosebumps The Game launches on @Xbox 360 on Oct. 14th.... more info.. Enter the fractured psyche of Bruce Wayne and discover the powerful and far-reaching consequences of your choices as the Dark Knight. In this gritty and violent new story from the award-winning creators of The Walking Dead – A Telltale Game... more info..
Duke Nukem on Xbox 360? Bring it on, baby. In this classic game, you assume the role of Duke Nukem, arguably the most recognized and most beloved character in the 3d game genre! Travel in deserts, duke it out in movie theaters, and toughen ... more info.. Created by Strider Game Designer, Koichi Yotsui, Moon Diver features 12 stages with local and online drop-in/drop-out co-operative play for up to four players. The Earth lies in ruins. In the year 2081, five warriors suddenly appeared ... more info..
On the stormy night when Jurassic Park fell apart, a desperate smuggler infiltrates Isla Nublar, hunting the precious canister containing the contraband dinosaur embryos. She collides -- literally -- with park staff trying to evacuate, and ... more info..
Highly-Anticipated Game from Best-selling PC Franchise The Sims 3 allows you to immerse your unique Sims in an open living neighborhood right outside their door. The initial feature-set unveiled includes the new seamles... more info.. Deep in a forest, in one of the Order's prisons, a young boy named Capell was being held captive. His captors called him the "Liberator," though he had no clue as to what they meant. On the third day of his imprisonment, he was re... more info..
Clannad for Xbox 360... more info..